Living an active lifestyle is extremely important, and many people have a hard time finding their mojo and end up living sedentary lifestyles as a result. Additionally, people want to have a clear mind as well once they start their days, but many times they feel like they are dealing with a perpetual brain fog. Most people do want to be active, and want to practice yoga but don't feel that they have the energy for it, and do lack motivation. Many look for essential yoga oils to help gain motivation they need. However, the challenge is that even though there are many yoga oils around, very few are completely natural and are made with unique Ayurvedic herbs. Additionally, these essential yoga oils may not be as natural as the manufacturers have claimed, and may even have added chemicals. If you are looking for essential yoga oil, then you may want to take a look at Vyam yoga oil by iYURA, which is formulated to help you feel invigorated, achieve a calm mind, and have a productive and active day. Even if you do not do yoga, iYURA Vyam yoga oil can help you keep up with your daily activities, have plenty of energy and and accomplish a lot during the day. Now, let's look at what the Vyayam yoga oil is, and why it is so unique, and how it can help. What Is The Vyam Yoga Oil And How Can It Help? 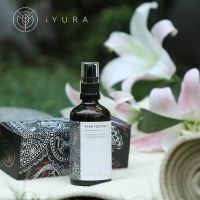 The iYURA Vyam Yoga Oil is the first ancient yoga oil that has been brought over to North America. This is the only yoga oil that is made up with Ayurvedic medicinal herbs that practitioners have used to treat people with a variety of conditions throughout Ayurveda history. That said, this yoga oil has unique properties that help you become energized, calm, and clear-headed. 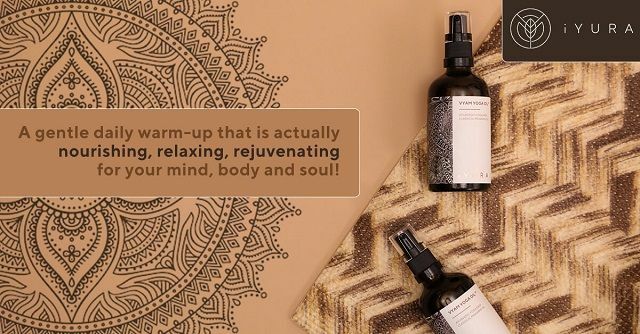 The term Vyam, or Vyayam, comes from the Sanskrit term which means exercise, and even though this product is a pre-yoga oil, you don't have to do yoga in order to use it. It can be used as a body oil, whether you do daily yoga or live a very active life. And, if you suffer from muscular agitation after exercising, this oil will also help you provide some relief. With Vyam Yoga Oil, you do not need to allow fatigue to keep you from doing your yoga practice or exercise, or keep you from having a productive and active day. The Vyam yoga oil has 16 natural and ayurvedic ingredients that have been used for 800 years years throughout Ayurveda history. Let’s go over the most potent ones which provide the most of the benefits for you, such as the Citriodora. The citriodora oil is the oil that has a sweet lemon scent, and it is a perfect component of the Vyam yoga oil. According to Bio Source Naturals, citriodora has calming effects, is stimulating, gives you a clear-mind, and it helps with emotional healing. It also is a great insect repellant. And this one works very well with the other essential oils in this formulation such as lavender. Lavender oil does not only have a calming aroma, but it has so many healing benefits. According to Medical News Today, lavender is great for treating depression, anxiety, insomnia, and restlessness. It is also a great remedy to heal bug bites and minor burns. 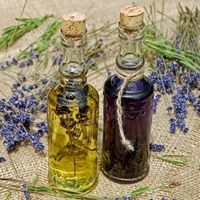 Lavender also goes very well with rosemary, which is another herb that is part of the formulation of iYURA Vyam yoga oil. Rosemary is a strong spice that you will see in many Italian cuisines, but it has so many healing properties that you may not even realize. 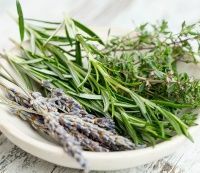 According to Healthline, rosemary is a powerful anti-inflammatory source, helps relieve pain and stress, increases circulation, and is a great pick-me-up herb. Not to mention, rosemary is also a great bug repellant. And, it works very well with other Ayurvedic sources such as sesame seed oil. 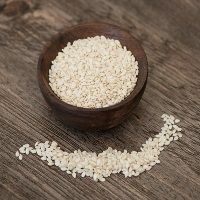 Sesame seed oil has one of the most potent healing and invigorating properties.and has been a popular medicinal treatment among Ayurvedic practitioners throughout history. According to WebMD, sesame seed oil is excellent for helping to boost the immune system, improves respiratory health, relieves stress, boosts energy, aids digestion, and improves the health of your skin. Sesame seed oil is a potent ingredient that is part of the formulation of the Vyam yoga oil because of its invigorating and stress-relieving properties. It will bring you the energy you need, and it will also help relieve stress and keep you clear headed. Another great ingredient it works well with that is part of the composition is licorice root. Licorice is another potent herb that has been used among Ayurvedic practitioners over the years due to its healing properties. 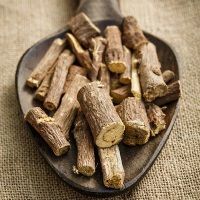 According to Healthline, licorice root has been known to heal wounds, improve the health of the skin and the gut, relieve stress, improves mental health, and provides energy. That said, licorice is a highly important ingredient in this formulation because of the fact it prevents you from feeling fatigued, relieves stress, and provides you the energy you need to get on with your day. Additionally, it has soothing properties which will help you feel calm and relaxed. This Ayurvedic herb is a great addition to the Vyam yoga oil. 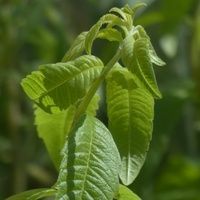 According to Herbpathy, Sweet Flag has tranquilizing properties, helps relieve bloat, stress, and has been a great remedy to treat many digestive issues. The reason that Sweet Flag is a great addition is because of its calming effects, and can help you feel invigorated in a general sense. Even though this herb is meant to have some sedating properties, it will not cause you to sleep. It just will calm you. The other herbs that are in the formulation of the Vyam yoga oil will prevent you from wanting to fall asleep, and will provide you with the energy you need. Sweet flag is meant to keep you calm and relaxed. Java long pepper has been known to treat many ailments, and has been used among Ayurvedic practitioners for years to treat many conditions. 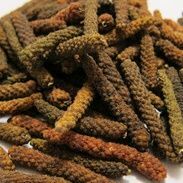 According to Stylecraze, long pepper is excellent for treating digestive problems, asthma, blood sugar imbalances, fevers, and respiratory issues. This herb has been used among many weight loss and weight management products as well. Long pepper also has immune-boosting properties, and can fight off bacterial infections as well. This herb is a great addition to the formulation of the Vyam yoga oil because it helps you simply feel great, healthy, focused, and strong. This Ayurvedic ingredient is what makes the iYURA Vyam yoga oil so unique, because according to Empowered Sustenance, Himalayan rock salt has been known to regulate blood sugar, detoxify the body, provides trace minerals to help maintain hydration, reduces muscle cramps, and improves the mineral status of the body. 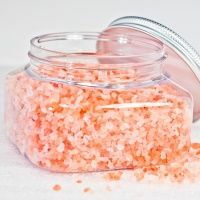 In fact, Himalayan rock salt is a highly important component of the Vyam yoga oil because it helps keep your body balanced in order to perform yoga or any other activities which requires you to exert energy. 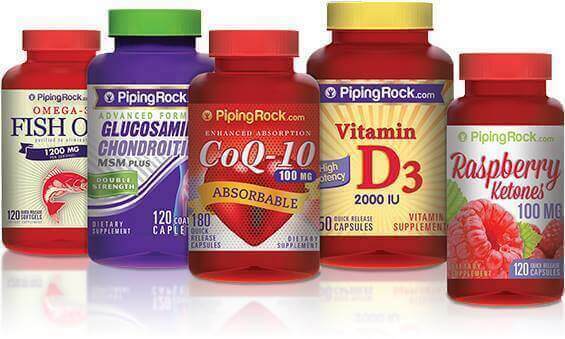 Because it helps you stay hydrated and keeps the minerals in your body balanced, you will feel great, energetic, upbeat, and ready to tackle anything. Additionally, another component which works well with the Himalayan rock salt is the Fermented Rice Gruel which is another important part of the Vyam yoga oil. Fermented rice gruel is a popular component of breakfasts that have been eaten throughout Ayurveda history. And, this is why this has been added to the formulation of the Vyam yoga oil. According to Deccan Chronicle, fermented rice gruel has plenty of benefits such as reducing fatigue because it is high in the B12 vitamin, cures ulcers, aids digestion, and reduces blood pressure. That said, this component of this product also helps fight off fatigue and brings you the energy you need to be active and clear-headed throughout the day. It has been said that fermented foods have plenty of health benefits, and this is why yogurt is also a perfect component of this product as well. Yogurt has so many important nutrients and energy-boosting properties that can help give you the energy you need to focus throughout the day. According to Healthline, yogurt is rich protein, probiotics, lactic acid, and other nutrients that will keep you energies. Not to mention, the yogurt addition in this product helps give you a soothing feeling on your skin, and it is invigorating at the same time. And, in order to enhance the effects as well of the healing benefits of yogurt, there is also cows milk in the formulation. Just like yogurt has calming and beneficial properties, so does the cow milk. And that is because of the fact it contains the lactic acid that soothes your skin, detoxifies your skin, and you end up becoming more energetic and you feel great as a result, according to Bellatory. 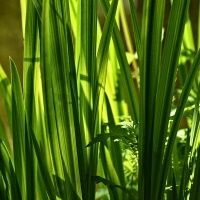 There are also other ingredients with potent, detoxifying, healing, and invigorating effects such as skunk vine, Himalayan cedar, Indian dill seed, and nardus root. Now that you know the benefits of each ingredients that forms Vyayam yoga oil, you would want to know what benefits this oil will provide you as a complete essential oil blend. ● The perfect yoga oil before starting any yoga practice - This yoga oil is the only yoga oil that is made of purely Ayurvedic healing properties mixed with other natural sources that will provide you the strength, energy, and calmness to take the best advantage of your yoga session. ● iYURA Vyam yoga oil gives you a gentle warm up in the morning before facing a hectic day. After applying it onto yourself each morning, you will feel calm, warm, and clear-headed so you prepare to tackle the challenges you experience in a day. ● It moistens dry skin and softens your skin - The lactic acid from the yogurt and cow milk will help restore your youthful skin, so you no longer have to face dry and itchy skin. That is because your skin is properly nourished. ● You will like your toned-looking body - Applying this formulation from your head to toe will not only make you feel calm, energetic and active, but you will enjoy having a toned body, making you appear younger than you are. ● You’ll be energetic throughout the day - With Vyam yoga oil, you can get relief from fatigue and feel energetic because its invigorating effect. ● Strengthening and calming your mind - The Ayurvedic herbs in the Vyam yoga oil all provide you not only calming effects, but helps you make your mind sharp and clear-headed. You will also be able to meditate much effectively by using this oil to help further calm your mind. ● Prevents you from being bitten by insects - Because of the essential oils, and the other ingredients, insects will stay away from you so you don’t have to worry about being bitten or bothered by bugs. ● Cruelty-free - This product has never been tested on animals. ● Has a pleasant fragrance - This product has a light and pleasant aroma that will not overwhelm you and you will receive compliments from others about how lovely you smell! As you see, iYURA Vyam yoga oil is not only meant for doing yoga. It is excellent for anyone, who has hectic and busy lifestyle that requires a clear-head and excellent organization skills so tackle any challenge that comes their way. And, it is also ideal for anyone who participates in sporting activities and it is even great to use before doing a workout at the gym. And, the instructions to apply this yoga oil is also very straight-forward. There are many ways to use of the Vyam yoga oil, whether you want to do yoga, Vyayam, exercise, play any sport, or be clear-headed and energetic to tackle a busy day ahead of you. However, it is best to massage the oil the first thing in the morning. If you workout or do yoga in the evenings, you can massage the oil on your body in the evenings as well. Use Kansa Wand to massage to see the best results. The first step is to warm the oil and do not microwave it. It can be warmed by making a hot water bath. Once warmed, you can apply the Vyam yoga oil on the crown of your forehead which is the source your vital energy. Then you can move to your earlobes by massaging the area around your earlobes. After that, massage it on your feet. And then apply it on your limbs with long strokes, and on your joints with circular strokes. And, finally, you can massage this oil on your abdomen and chest by giving yourself circular strokes using Kansa Wand, and once you are done, then you need to take a towel soaked in hot water to wipe yourself. Before you exercise or Vyayam, make sure to wipe your hands and feet with a dry towel. Once you apply the Vyam yoga oil, you will feel refreshed, warm, and clear-headed. However, before your purchase this product, there are some things you must consider. ● Vyam Yoga Oil may not be suitable for pregnant and nursing mothers. If you are pregnant, or planning to become pregnant, or if you are breastfeeding, this product is not suitable. It contains ingredients that can be harmful to the baby. ● It may contain properties that you could be allergic to. Before purchasing this product, you will want to make sure you do not have an allergy to any of the ingredients. Consult with your doctor to make an appointment to see an allergist, or you can do an allergy patch test to see if you have an allergy. ● Talk to your doctor if you are on medications - This product has medicinal herbs and can potentially cause interactions with the drugs you are taking. You will want to have this cleared by your doctor. ● Vyam Yoga Oil is for external use only - This product is not meant to be taken in orally. ● It is not vegan - This product has never been tested on animals, but it contains cow milk and yogurt. ● Keep it out of the reach of children and pets - The ingredients can be harmful if children or pets consume any of this. And, you will want to remember that this product is not meant to cure, treat, or prevent any ailment, and be sure to use it within 24 months of its manufacturing date. You may now be wondering what the alternatives there are to the Vyam yoga oil. Let’s take a look at 3 of them right now and make comparisons. Edens Garden Essential Yoga Oil Set - These yoga oils are of good quality as they are made up of natural ingredients and are also cruelty-free. However, the ingredients are not Ayurvedic and do not contain powerful blends. It also made have a strong fragrance which may be a put off. Nutrifix Yoga Essential Oil Blend - This product is transparent about it containing eucalyptus, lemongrass, lavender, and grapeseed oil blends. These are all natural ingredients but it is still not overly potent because it lacks the healing Ayurvedic herbs that make iYURA Vyam yoga oil so unique and powerful. Soulflower Yoga Essential Oil Blend - This yoga oil blend is high-quality and is made up of many medicinal herbs. However, it also has a simpler formulation than the Vyam yoga oil. It lacks the yogurt and cow milk, which adds more healing properties to the Vyam oil. If you have been looking for the Vyam yoga oil, and you have not been able to find it, then you have not looked at the right place. You will be able to find iYURA Vyam yoga oil at The Ayurveda Experience. And, you will receive plenty of perks while making the purchase. Firstly, you are eligible to receive the The Ayurveda Experience video course for free. Plus you can sign up to their newsletter, to get notified about upcoming sales, discount coupons, and special events. There is never a reason that you will not able to tackle any challenge that comes your way anymore. And, there is no reason either to face any discomfort by doing yoga, Vyayam or any other exercise. You can take on the day with a clear-head, motivation, and looking and feeling great all at once. That is why iYURA had created iYURA Vyam oil for you. Whether or not you do yoga, you have other work to do, errands to run, activities to participate in, and be clear headed for work and/or childcare. You need to be productive, and you need to be in the best health, and you need to feel fantastic to take on any challenge. The Vyayam Yoga Oil can help you feel invigorated, achieve a calm mind, and have a productive and active day. You can find numerous positive Vyam yoga oil reviews from its customers, because they found something natural and safe, to help them accomplish a lot during the day without feeling stressed or fatigued!